Everyone loves a cute turtle. 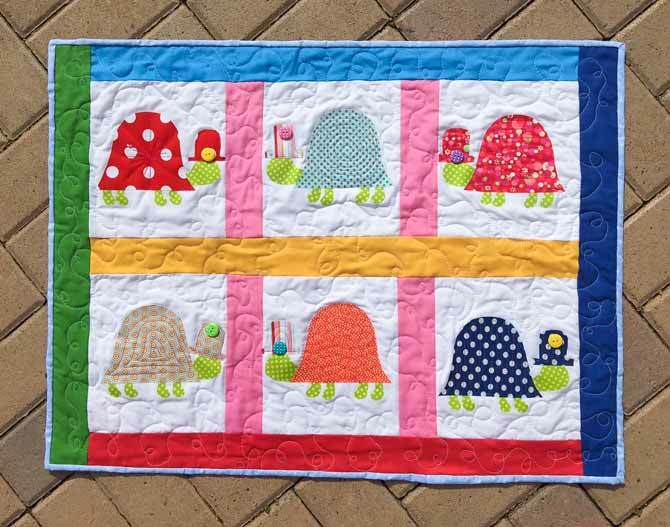 How about six adorable quilted turtles with sweet little embellishments that make your heart melt! This fun wall hanging is great for beginner quilters or a perfect place to get youth started in quilting. Those experienced quilters need not shy away, as the creativity to make each quilted turtle unique will have anyone having a good time and loving this quilted wall hanging! Quilted wall hanging featuring 6 turtles with bright colored borders and sashing and fun buttons on their hats. This quilt wall hanging will measure 30″ x 23″ when finished. Gather all your quilting notions and tools that you will need for this quilted wall hanging. First, you’re going to need a picture of a turtle. It’s pretty easy to draw one out as it’s simply a shell, top hat, head, and feet. It doesn’t have to be perfect, that’s what makes it original! But if you’re really hesitant, google ‘free turtle coloring pages’ and print one off and use that. Just remember that when you are making the head and feet, extend the neck and legs a little bit extra so they can tuck under the shell. 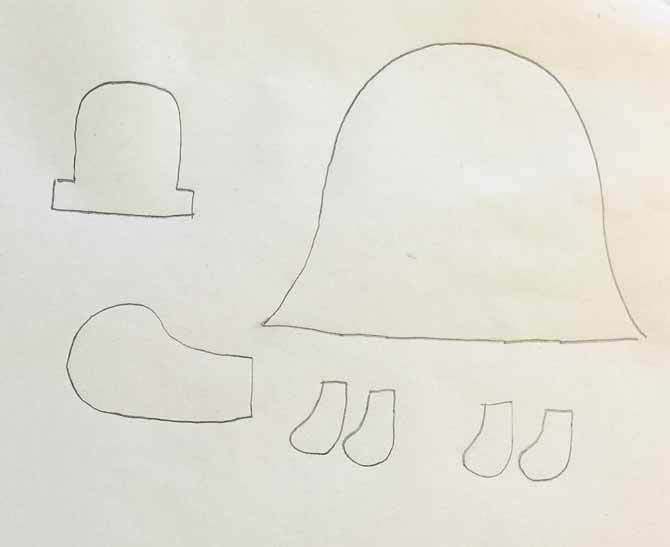 Cut out each of the shapes so you have a head, four feet, top hat and shell. Draw the shapes needed to make a turtle. Be original! 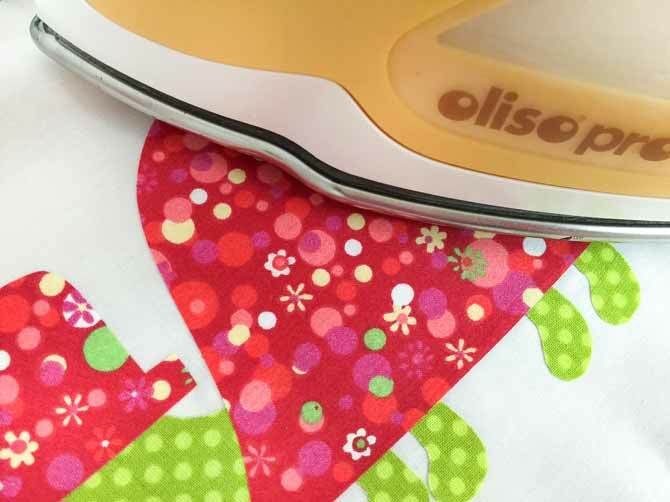 Following the manufacturer’s instructions, iron on the HeatnBond Lite to the back of the green fabric (for head and feet) and the bright fabric (shell and hat). On the paper side of the fused fabric, trace out the head and feet for as many turtles as you are doing. 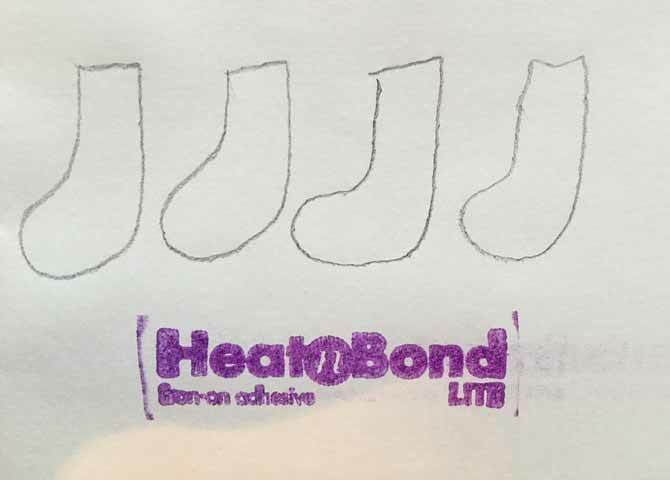 REMEMBER: This will be reversed when you turn it over, so if you want to have them all in the same direction, trace the head and feet all the same way. Download free pattern here. Cut out six 8” x 9” rectangles of white fabric. Place the fused fabric turtle pieces on each of the squares, removing the paper and remembering to tuck the feet and head under the shell. 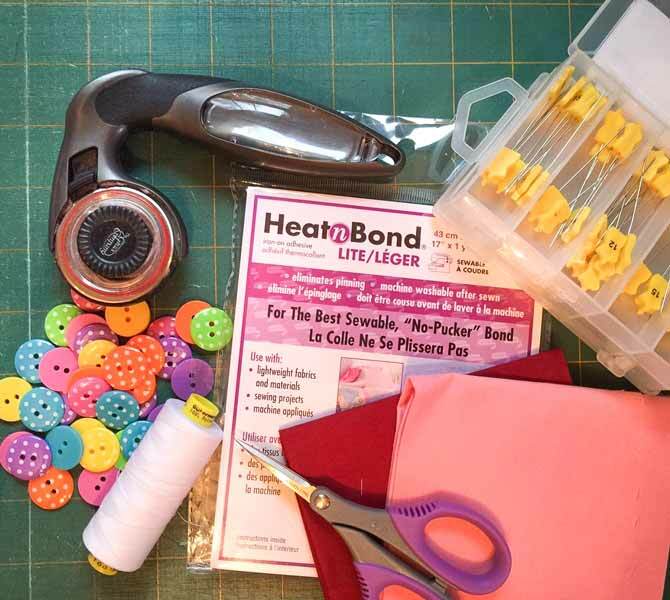 Once centered on the fabric, bring to the ironing board and press down. Note: I now only use the Oliso Iron. This iron has little feet that come down and lift the iron off the fabric when you release it, making it virtually impossible to burn a piece of fabric and you never have to lift an iron up to stand on its edge again. Press the fused fabric onto the background fabric block. 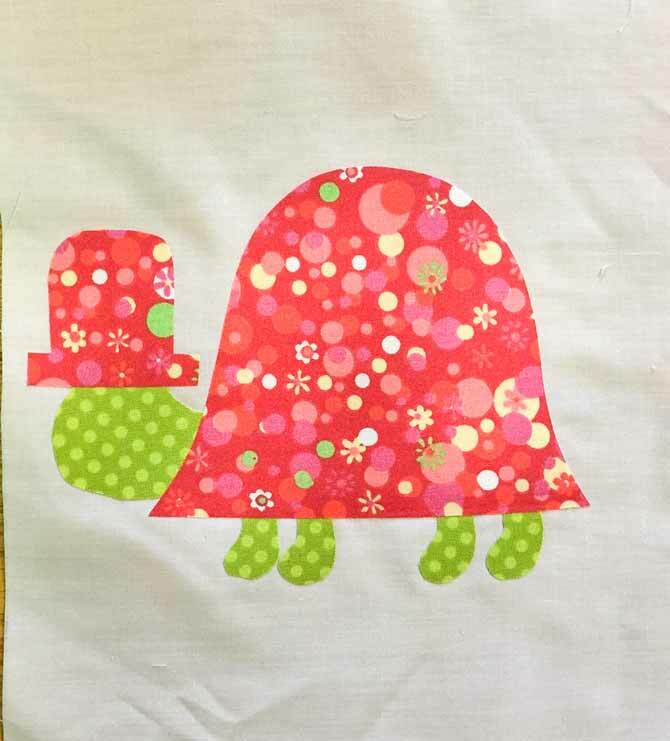 You can machine applique around the turtle if you like or wait until you quilt it and do a fun quilt pattern on the turtle at that point to secure it. This is what I did, so check back to see how fun I made these adorable quilted critters! Turtle fused onto fabric ready to be put into a quilted wall hanging.